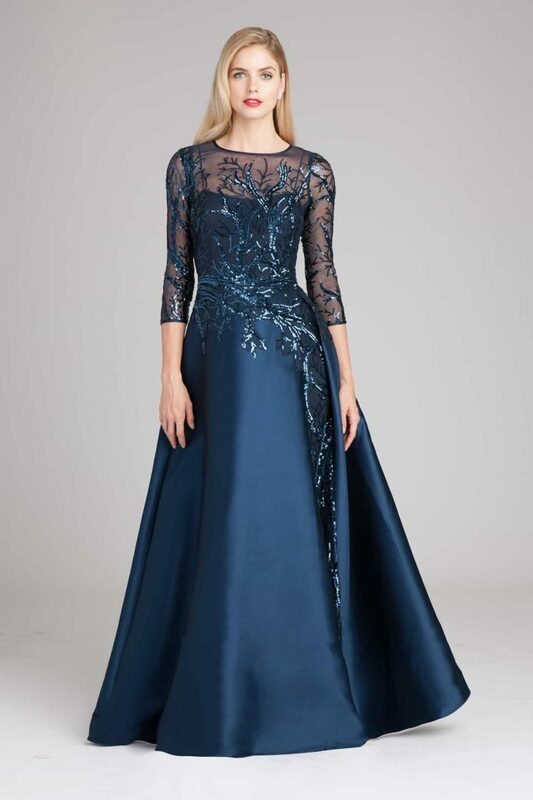 Where to find navy blue and Dark Blue Mother of the Bride Dresses. We’ll show you short and long navy blue styles, navy sequined gowns and blue mother of the bride dresses with sleeves! From the darkest midnight or navy blue to deep a cobalt, dark blue or navy blue mother of the bride dresses are a completely classic choice for any wedding event. I’ve selected some of my favorite casual, semi-formal, and formal navy blue dresses for mothers in a wedding from some of my sponsors and affiliated retailers to simplify your hunt for the perfect dark blue mother of the bride or mother of the groom dress. Shop section uses affiliate links from our sponsors. Click through on the image to shop each trusted retailer’s site. Can’t find the dark blue gown or dress you thought you’d see here? See more navy blue dresses for weddings. Still looking? See more dresses on the Find a Dress by Color Page, or the Mother of the Bride Dress Page. The shopping section and links in italics are from our affiliated partners.